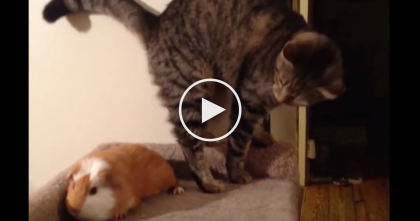 What Happens When This Cat Discovers The Roomba Vacuum, Just Watch It… LOL!! 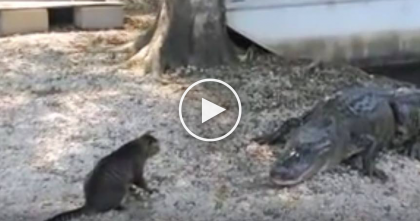 Cats are usually curious about anything that moves, but most cats never dare get close to any loud sucking machine, especially if it’s moving, but NOT this cat! 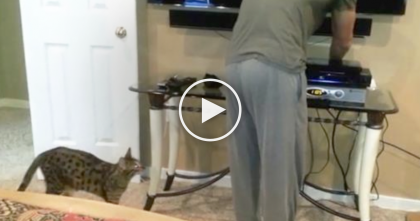 You may have seen cats sitting on a Roomba vacuum, but this cat isn’t just sitting on it, he goes for rides around the house and holds on for dear life even if it spins in circles time and time again! 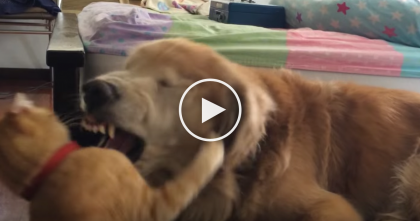 Watch When This Kitten Makes Best Friends With A Doggie… This Is The Cutest EVER. 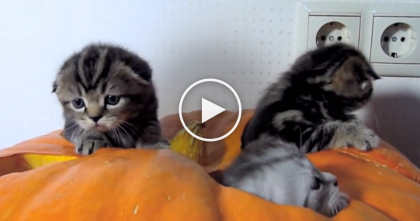 They Tried Carving Out Pumpkins, But When Kittens Discover Them…You’ll Love This!